Founded by the Guillon Brotherhood to save the endangered winemaking heritage in the Lake Geneva Region, the museum shows a collection of innumerable tools, presses, stills, pots, barrels, measuring devices, bottles, corks, corkscrews, taste-vins, glasses and decanters. 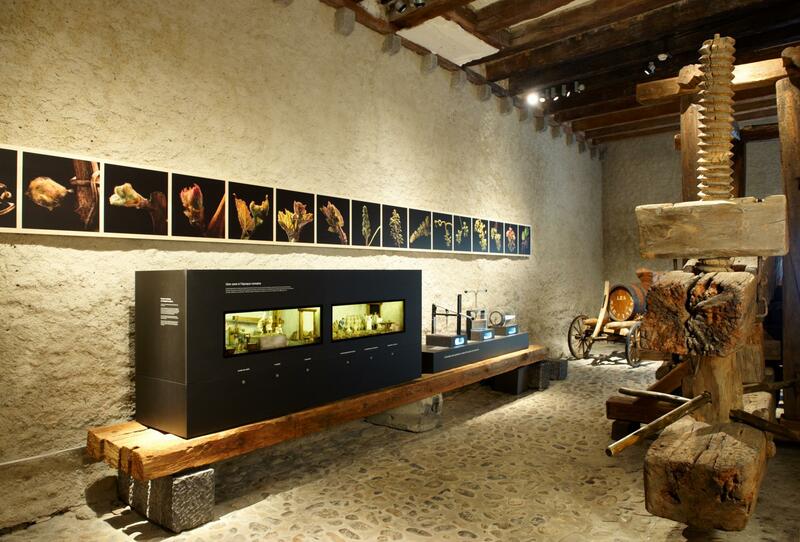 The museum is a reference for vines and winemaking. It concentrates on topics such as countryside, biodiversity, development of taste, ecology, economy, winegrowers, harvesting and art, including the art of celebrations. Aigle Castle is situated at the heart of a large vineyard and also of a thousand-year old winegrowing tradition featuring Chasselas, a grape variety yielding a dry white wine. It is grown in the Rhone Valley and in the Lake Geneva Region, particularly in the terraced Lavaux vineyards, a UNESCO World Heritage Site since June 2007.